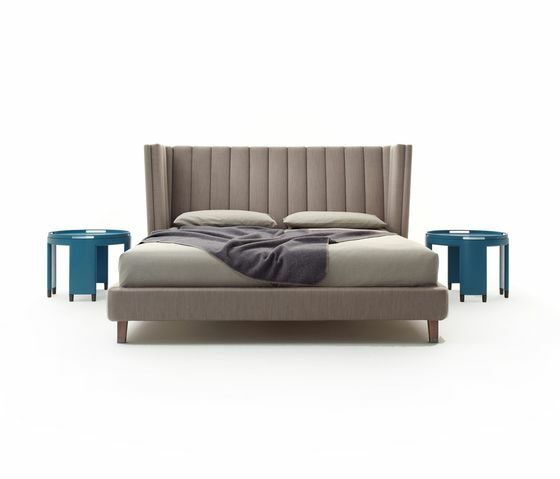 The linear headboard ist the visual hallmark of this comfortable bed. Its individual design, characterised by its flowing shape, imparts an impression of tranquillity. Two different types are available, with based or high headboard. Integrated lights and swivelling side-trays are practical details.